This is a sponsored conversation written by me on behalf of Kellogg’s Chips Deluxe ®. The opinions and text are all mine. Sometimes January can be a bit ho-hum around our house. The Christmas decor is all put away, school is back in session, and spring can seem a long way off. To combat those mid-winter blues, I decided to surprise my three boys and some of their friends with a fun hot chocolate bar recently on a random school day. 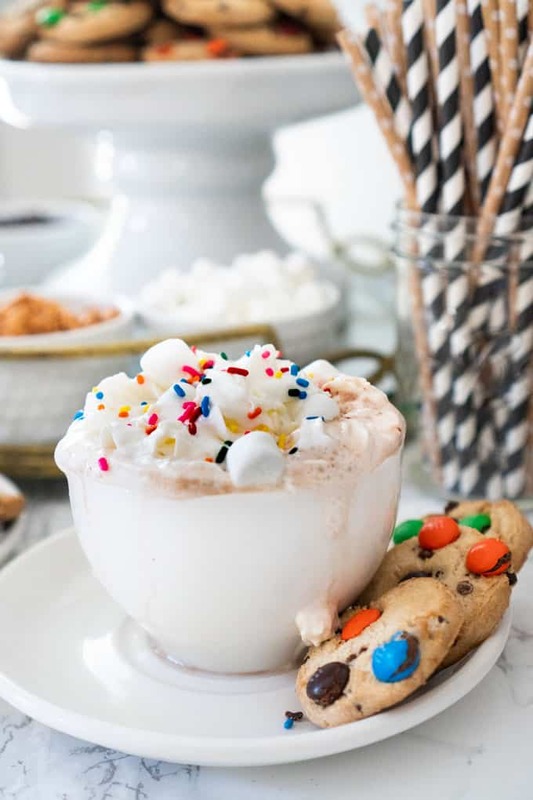 This hot chocolate bar was super-fast and easy to put together, I even made some printables for it and to share with you as well. To make your hot chocolate bar you first need to gather your supplies. 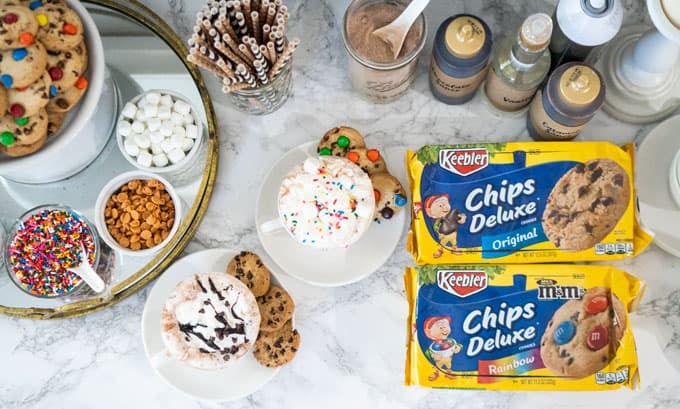 I scooted down to my local Publix and made a beeline for the cookie aisle where I picked up Keebler Chips Deluxe® cookies in both original and rainbow varieties. 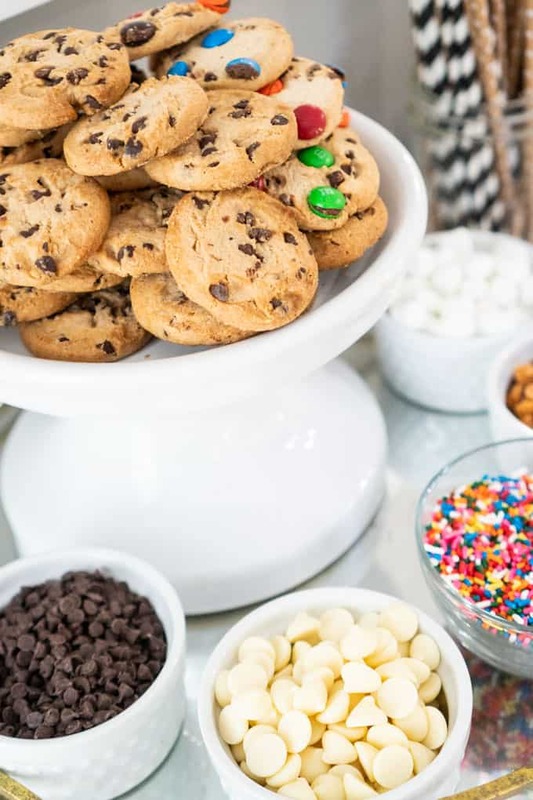 My kids LOVE these cookies and now the packages have 20% more cookies which comes in extra handy when feeding a houseful of boys! Click here a coupon for $0.50 on one (1) package of Chips Deluxe Original or Rainbow 16.4 oz. now through 12/15/19 at Publix. 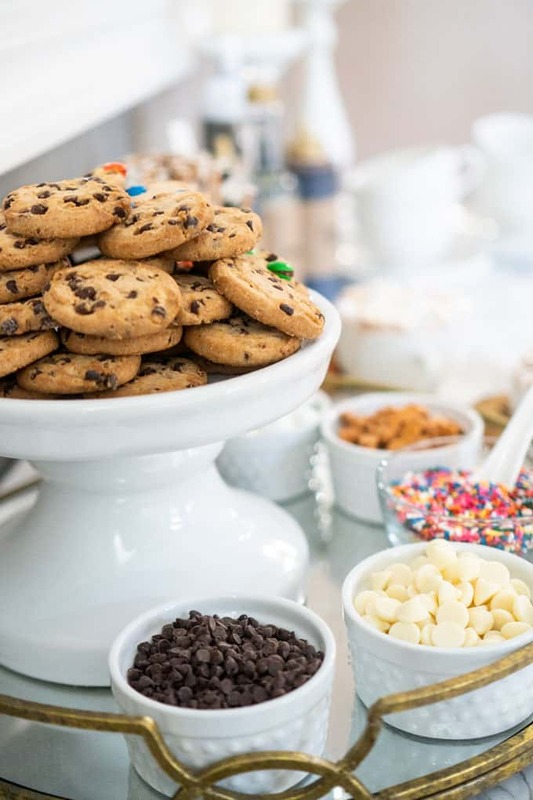 Other fun add-ons could be peppermint sticks, large chocolate covered or flavored marshmallows, or add in a coffee bar area to give the adults another option. Because kids are kids and I knew things would get rowdy if they lingered too long at the hot chocolate bar, I whipped up some printable labels for my flavored syrups. And to be honest, it just looks prettier that way and it makes me happy. Click here to download your free hot chocolate bar printable syrup labels. I printed mine with my home printer on adhesive kraft paper, cut them out, and used it to cover the labels of the syrups. I also set out some coordinating paper straws because paper straws always make everything look prettier too! The kids were so surprised when they came home from just another day at school to this surprise hot chocolate bar! We invited neighbors over to share in the fun too and it was a great time for everyone. I don’t have to exaggerate to say that those Chips Deluxe cookies were completely gone in twenty minutes with the help of seven elementary and middle school boys in the house!! 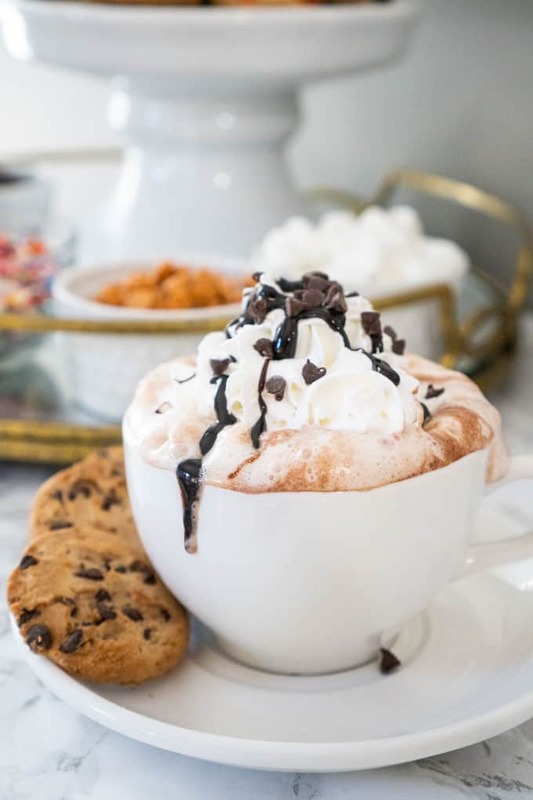 They especially liked dunking their cookies into the hot chocolate, which I have to admit was pretty darn delicious once I tried it myself too! 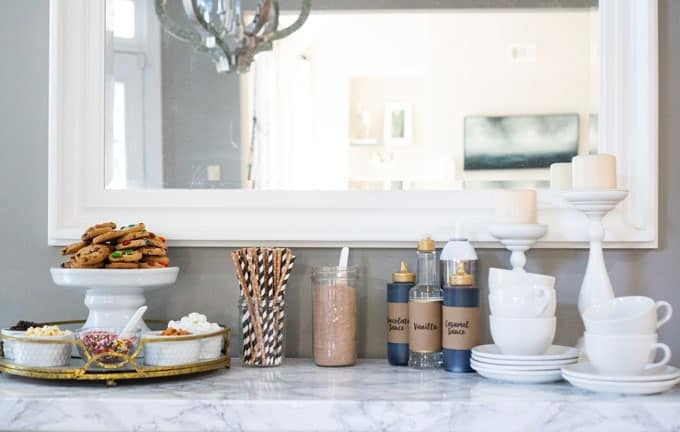 If you are looking for a fun and easy way to add a little excitement to your winter post-holidays, I highly recommend putting together a hot chocolate bar. There’s no need for a special occasion! You can get creative with your add-ons too, don’t be limited by what I have listed. Just make sure to include the Chips Deluxe cookies, they are too delicious to miss out on. And be sure to download your coupon to get 50 cents off your Chips Deluxe cookies at Publix. 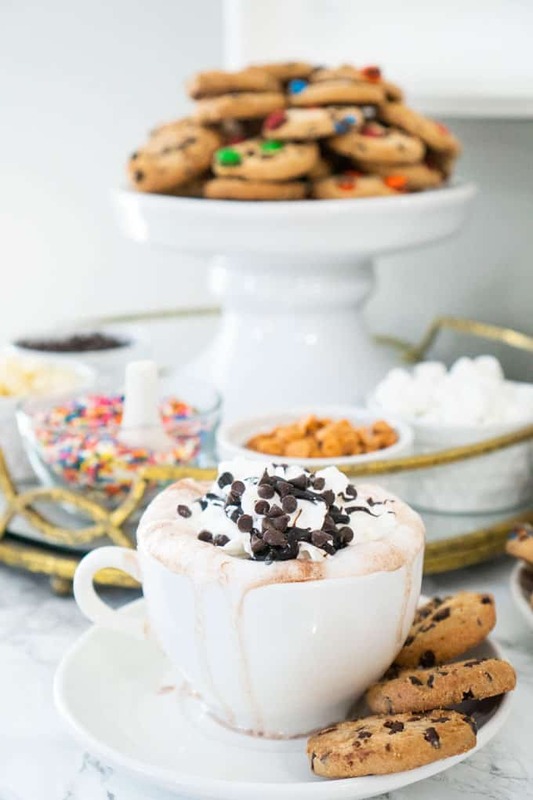 Have you hosted a hot chocolate bar? Let me know how it went in the comments below!